This is our top of the line modular sunroom walls system; perfect to create that four season living space out of your existing porch or patio roof line! Each module is numbered and full instructions are provided to guide you through the installation. 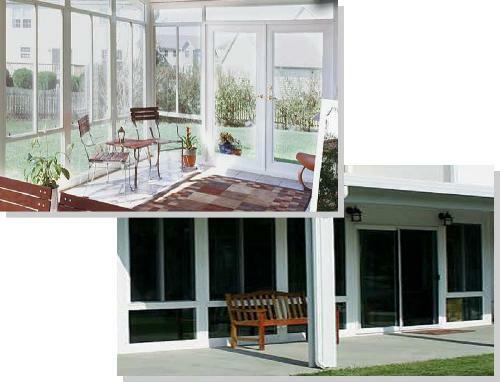 These Sunroom & Patio Enclosure Products have been fully Tested and Evaluated by IAPMO* Uniform Evaluation Services. This certification of our products ensures consumers and building officials that our products meet and exceed all local, regional and national engineering standards. 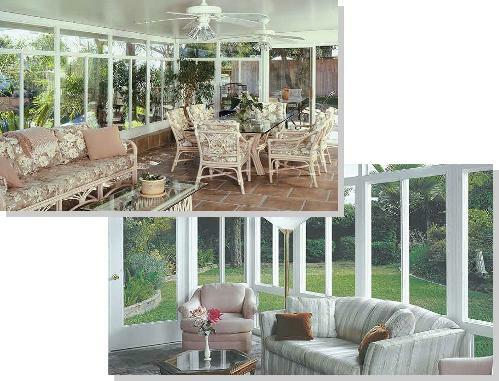 We work with C Thru Industries Inc. to bring you this high quality sunroom wall Do It Yourself product! quotation you can count on. 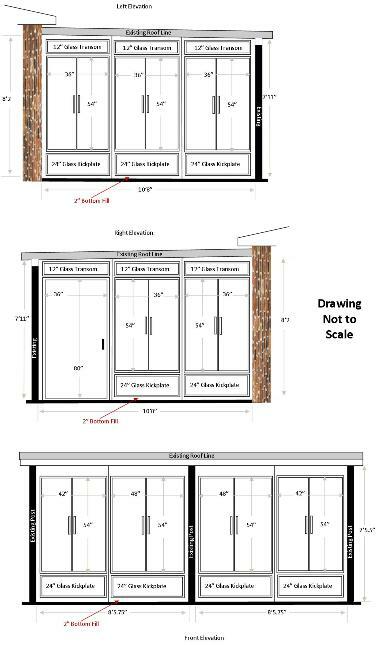 You will receive a drawing (as illustrated below) specific to your quotation along with all the details of your project. Every modular section is then manufactured per specific Auto-Cad design drawings ensuring accuracy & manufacturing consistency. Insulated R-14+ Sunroom Walls! Low Maintenance! All Weather & Indestructible! Low Maintenance! Extruded aluminum structural framing, a 1.5 lb. EPS core with our patented Tuffcore vinyl laminated on both sides makes for the ultimate in wall panels. 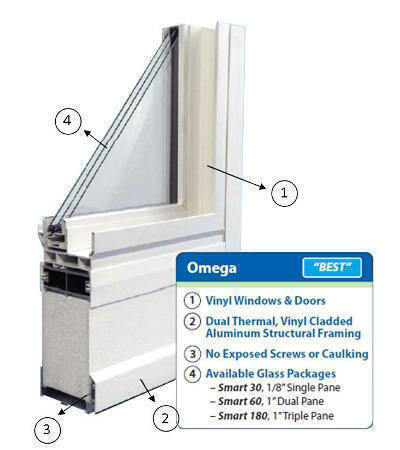 The exclusively formulated vinyl framed windows come in either a fixed or sliding format with a choice of clear or Low E glazing. Our double or triple pane argon sealed windows with vinyl cladded framing allows for a the ultimate 4 season room construction. 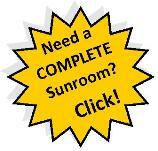 Our Tuffcore panels will form the basis of all areas of your sunroom where there is no glass. 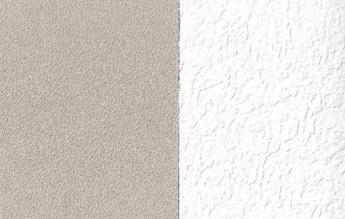 Tuffcore vinyl is available in stucco or pebbled finishes, almond or white colors and is easy to clean. 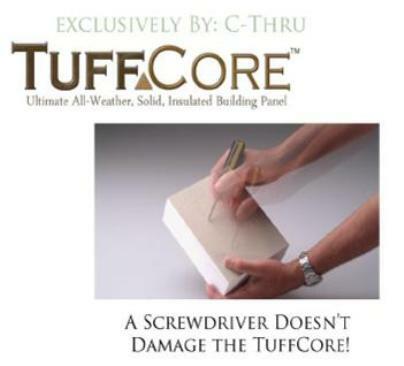 The Tuffcore finish adds to the already efficient insulating value of this building panel, making it perfect for patio room construction! Our 36" wide pedestrian doors open and close just like conventional doors. They feature a choice of an in-swing or out-swing design. Additionally we can provide a 'French (double) Door' configuration where both doors can open and lock independently from each other. 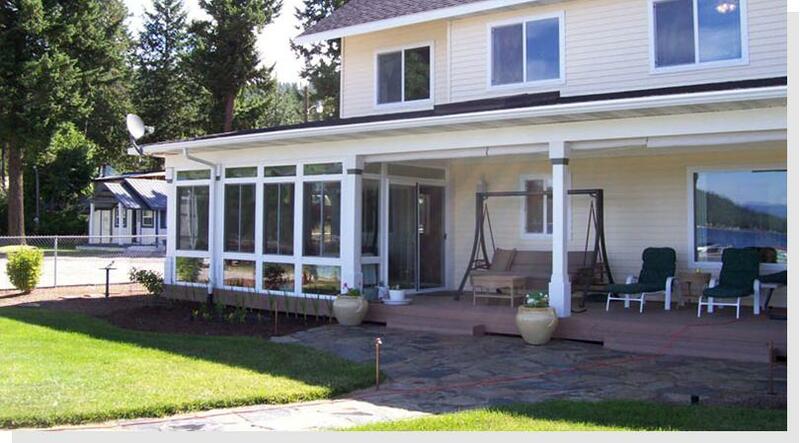 Our sliding patio doors open and close just like standard patio doors. They are a wonderful way to create a graceful transition from your indoor to outdoor living areas. All sliders come with our EZ Glide Quad Roller system! Available exclusively by C-Thru, it carries double the number of rollers as our competitors, minimizing sash racking and making for extra smooth operating windows. When you see condensation inside a dual pane window, that means the seal has failed. 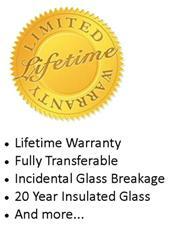 Our exclusive high performance dual and triple pane glass is made using the latest technology in insulated glass seals.